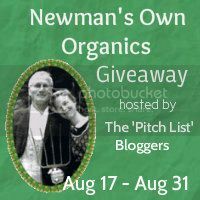 Welcome to our Newmans Own Giveaway hosted by The Pitch List. There are five other blogs included so be sure to check them out and enter theirs for a better chance of winning. Ends 8/31. Open to US. Good luck everyone!! I would be happy winning anything. Thw sour strawberry licorice is so nummy!!!!! The oatmeal cookies do sound good! but so do the Fig Newmans!! Thank you. I would like to win the Bag of Oatmeal Chocolate Chip Cookies, yummy!! Any would be great but the bag of cookies look really good. I would be thrilled to win anything! Well, I’m hungry at the moment, so I really want to reach through my screen and eat it all…:) But really I think the licorice is my favorite! the oatmeal chocolate chip cookies! I would so love to win the Oatmeal Chocolate Chip Cookies! They all sound yummy though! The Bag of Oatmeal Chocolate Chip Cookies. I’d like to win the Oatmeal chcolate chip cookies ! All of them, but esp. the Mighty Mini Pretzels! I’d like to win Fig Newmans!! Sour Strawberry licorice for me! Bag of Oatmeal Chocolate Chip Cookies!!! I would like the Oatmeal Chocolate Chip Cookies. Yum! I’d love to win the Sour Strawberry Licorice. HilLesha recently posted..Hoover, Nobody Does it Like You! I would like to win the strawberry licorice. they all sound good, GOD BLESS AND KEEP YA’LL SAFE IN HIS LOVING ARMS. I’ve never won anything, so i would love to win any of those yummy products n.n!!! The oatmeal chocolate chip cookies are calling me! YUM! I would like to win the package of Fig Newman’s. I’d be happy with any of these products, but I’ve been wanting to try the licorice! I would be happy with any product!!!! I would be happy with any of it! But… the oatmeal chocolate chip cookies do sound good. I’d like to win the oatmeal chocolate chip cookies. happy with anything, but yummmm cookies! pretzels but Anything I would LOVE! The figs and the cups look like something I need to order soon. Thanks for the review. All sound good, but the Oatmeal Chocolate Chip Cookies sound best to me!! I would love to.win any kind of cookies! luv to win the oatmeal choco. chip cookies. Yum! I’d like a bag of oatmeal chocolate chip cookies. The Sour Strawberry Licorice sounds yummy! Thanks so much for hosting this great giveaway! Fig Newman’s all the way!! The Sour Strawberry Licorice!! My Fave.!! Bag of Oatmeal Chocolate Chip Cookies, please.. I would like the fig newton cookies. I would love to try the oatmeal choc chip cookies! i wanna win the oatmeal cookies! Bring on the figgy newtons!!!! My family loves Newmans Own products, the oatmeal cookies are a fam favorite. 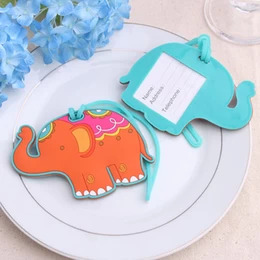 would love to win the cookies! The licorice sounds good. Would be greatful for anything really. would love to win the pretzels! I would be happy winning anything! The Fig Newman’s – Thanks! I would love to win Newman O’s but would be happy with anything. I love all their products. I would love the Bag of Oatmeal Chocolate Chip Cookies. They all sound amazing but I love pretzels! They all sound great, but my daughter is a big fan of pretzels. I am tossed between the cookies and licorice! I would love to win any of the products…but I do love the Fig Newmans…yummy!!! Any of the items would be great but my first pick would be the Oatmeal Chocolate Chip cookies! YUM!! Oatmeal Chocolate Chip Cookies sound good. The Oatmeal Chocolate Chip Cookies….YUM! I want to win the fig newtons. Any item is great but the Choc oatmeal cookies sound great. Well…hard to decide but how about the Oatmeal Chocolate Chip Cookies! the licorice, because I’ve never tried it. I WOULD LOVE TO WIN THE SOUR STRAWBERRY LICORICE! YUMMY! I’d like to try the Fig Newmans! Yummm… either the fig newtons or cookies or pretzels… to be honest, I want them allll!! I want the oatmeal chocolate chip cookies. The sour strawberry licorice – yum! I would like the Mighty Mini Pretzels. I’d love to try the licorice. Oatmeal Chocolate Chip Cookies make my toes curl! Mmmm…fig newtons AND oatmeal cookies!!! Bag of Oatmeal Chocolate Chip Cookies. The pack of Sour Strawberry Licorice. I like them all, but the fig newtons would be the first choice. Andrea Smith recently posted..ProBar Fruition Review and GIVEAWAY! I have never had any of their sweet products…Would love to try ginger cookies, licorice or the fig bars. Yum! The licorice! Oatmeal Chocolate Chip cookies look yummy too! I would love to try the oatmeal chocolate chip cookies! I would lie to try any looking for better snack. Heidi G. recently posted..Coupons that are hot, fire up your printers! These snacks sound so good! I’m especially interested in the Fig Newmans! Love to win the Bag of Oatmeal Chocolate Chip, I bet they’re good! Thanks for the giveaway! I would love to win the Fig Newmans! The Bag of Mighty Mini Pretzels! I do enjoy the Newman brand! Sour Strawberry Licorice….sounds yummy! Thank you. I want to win the Fig Newmans. The Fig Newmans for sure! Mighty Mini Pretzels sound absolutely delightful and tasty! We’d feel blessed with any of these wonderful treats! Thank you for this wonderful opportunity!! Cookies! I want the cookies FIG ure that. I love licorice so I want to try Newman’s own licorice… yum! !